Dr. Jahnke graduated with distinction from The Ohio State University, College of Veterinary Medicine, in 1997. She was a 1993 graduate and varsity athlete of Miami University (Go, Redhawks! ), and moved to Westlake shortly after completing veterinary school. She has a "World's Best" kitty named Oliver and silly French Bulldog named Symon. 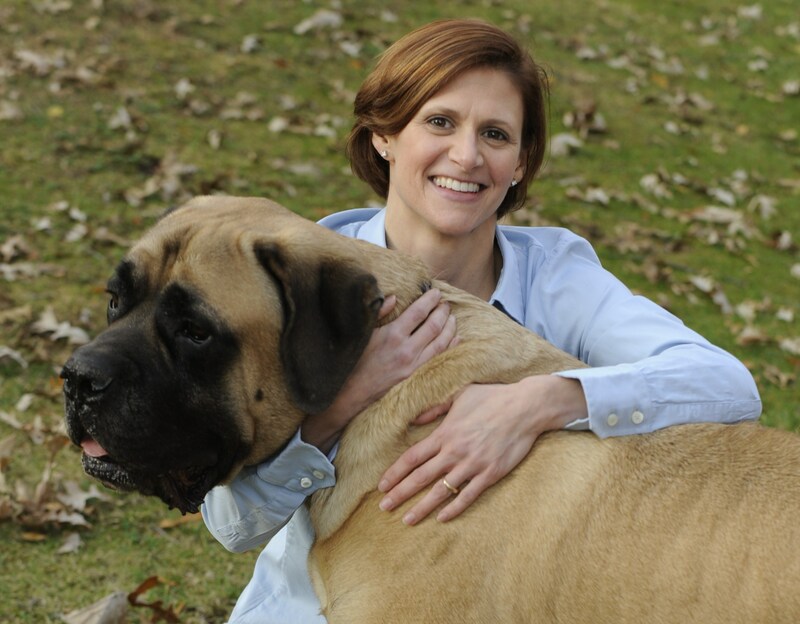 Here, she is pictured with her English Mastiff, Legend, who passed away in the summer 2012. She jokes that the Frenchie is the "travel size" version! She has dedicated herself to providing excellence in veterinary care, thorough client education, and delivering health care with compassion. Her areas of interest include dentistry, soft tissue surgery, integrative internal medicine, and pain management. She completed accreditation in Veterinary Acupuncture at the Chi Institute of Traditional Chinese Veterinary Medicine in 2010 and Trigger Point therapy with Canine Trigger Point Therapy and Myopain Seminars in 2012. She is a member of the International Veterinary Academy of Pain Management. She finds that adding adjunctive modalities provides yet another level of patient assessment and additional exciting and effective options for patient care.